In March of 1971 we walked through these doors for the very first time. Only 25 years old and with Joe fresh out of the Army, we had no money, four kids, and the Great American Dream of owning our own business. Joe's Dad came to check out the investment he was about to make in his son's future. One month later, in a flurry of panic and paperwork, we signed the dotted line. We became proprietors of the Colonial Inn, now Pepitos. The Colonial had been in business since the early 30's, serving 3.2 beer, hamburgers and pizzas in what had once been a turn of the century hardware store. Our hopes and dreams for the future soared when they handed over the keys. Our own place! The first day we took in $45.00. The whole family pitched in to make it work. That first summer one of the softball regulars asked why we didn't have Mom make tacos. Why not, indeed? Ant that started it. By 1974 we had a full service Mexican Restaurant on our hands, with our Moms, Joe's Dad, Step Dad and Brother and even Joe's Grandfather Jacinto hard at work with us as the kids ran around down in the office. In February of 1975 we changed the name of the Colonial to Pepitos, meaning "Little Joe" or “Joey". Since the early days Pepitos has been a true family restaurant. Four generations of our families have been involved in every facet imaginable, from perfecting recipes to sweeping the floor. Grandparents, parents, siblings, nieces, nephews, cousins…today, our children stand at the counter and in the kitchen, working hand in hand with their extended family. Their spouses work, too, and now their children are underfoot. Who could've guessed what would come of that chilly March day in 1971? The only thing greater than our panic that day was our hope, our commitment and our families' support. It was enough. When Mama Lupe showed up to make tacos that first time, she brought along her helping hands, a bagful of spices and a lifetime of experience. 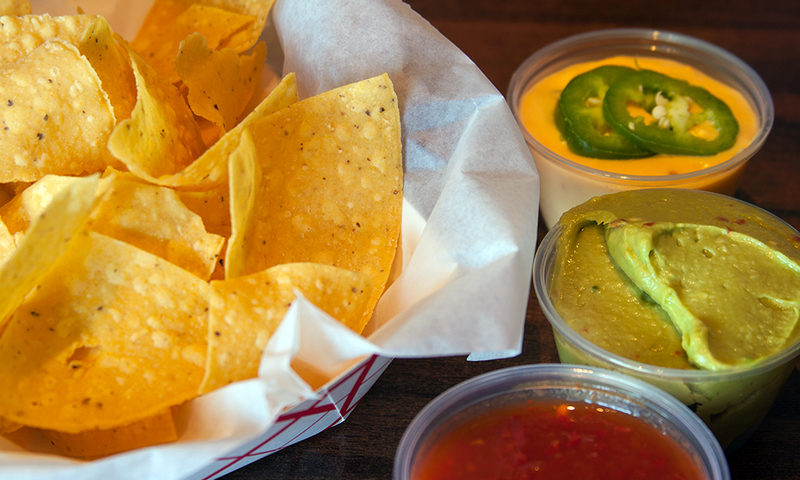 Joe's creativity and Sue's no-nonsense realism have guided Pepitos through more than twenty five years of success. We've renovated, added on, and renovated again, with Sue safeguarding the original fireplace from Joe's busy sledgehammer. The entire place is imbued with more than character. It is rich with memories, laughter, tears and achingly good times. For our family, it is where so many of our stories happened, with so many of our loved ones. Those who are no longer with us still exist in this special place, through their loving efforts, invisible to us even now. When they came to lend a hand they brought something with them, and that something is still here. Now, close to fourty years later we continue to work together to improve what we do. Our kids take a lot of pride in their work, and we're very proud of them. Our many long-time customers are woven into the fabric of this place, providing constructive comments, great ideas, friendship and a sense of community. New customers keep coming, each bringing a new perspective, a changing vitality to the place. We welcome you to our family restaurant. Out long time customers and new patrons deserve our enormous gratitude. We delight in bringing our time-tested recipes, new creations, and a warm smile to your table. Your comments are always welcome. After all, we're still a work in progress! With your support, will continue to change and grow, with respect for our past and hope for our future. Our families offer you our greatest thanks, and an invitation to join us again soon.